Open branched, deciduous succulent shrub. 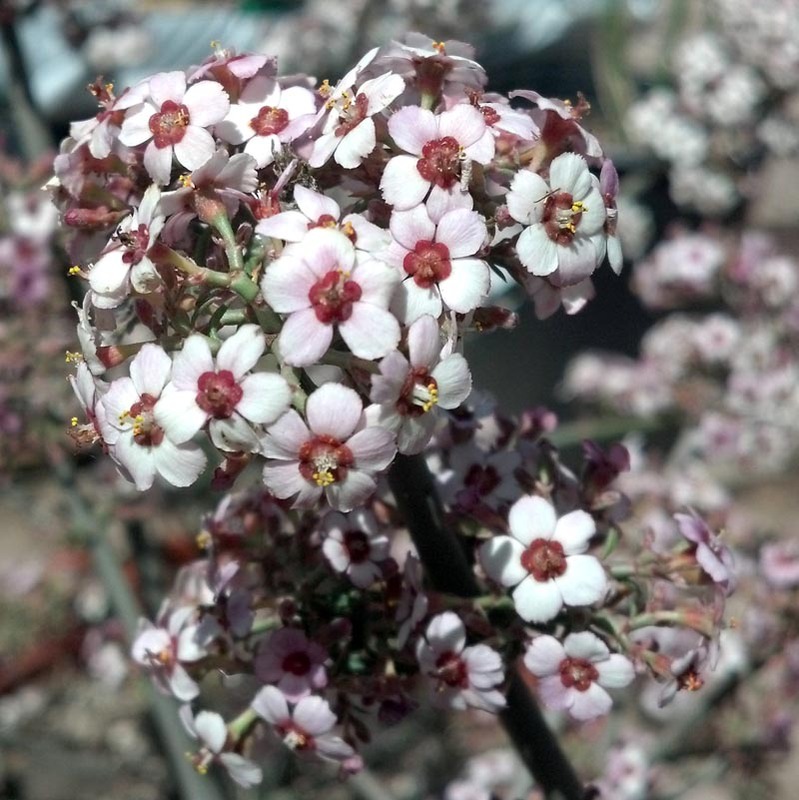 Large perennial shrub with pencil-like branches topped with exploding small cherry-like pink blossoms in spring through summer. Can spread and form large stands.